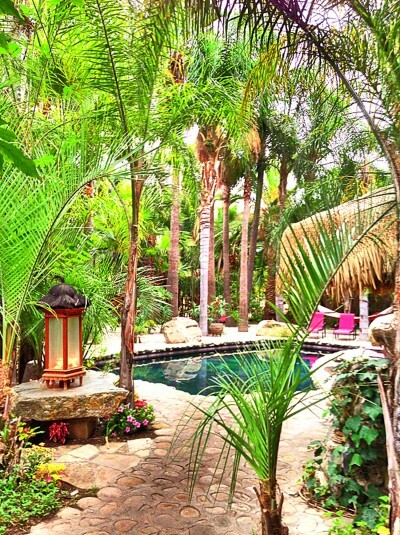 Imagine a shimmering black bottom pool, hundreds of cascading palm trees, lush, exotic gardens and tranquil slow mystic wind and orange dragonflies emanating from every corner your own private oasis. 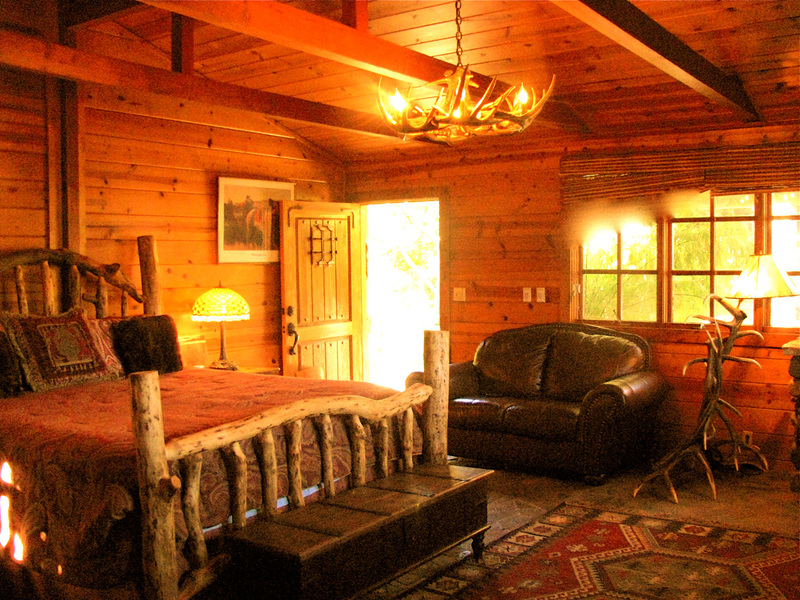 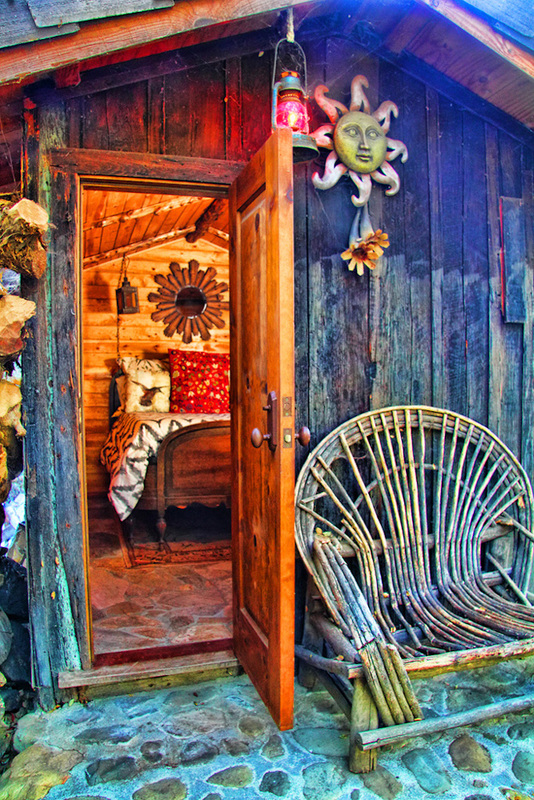 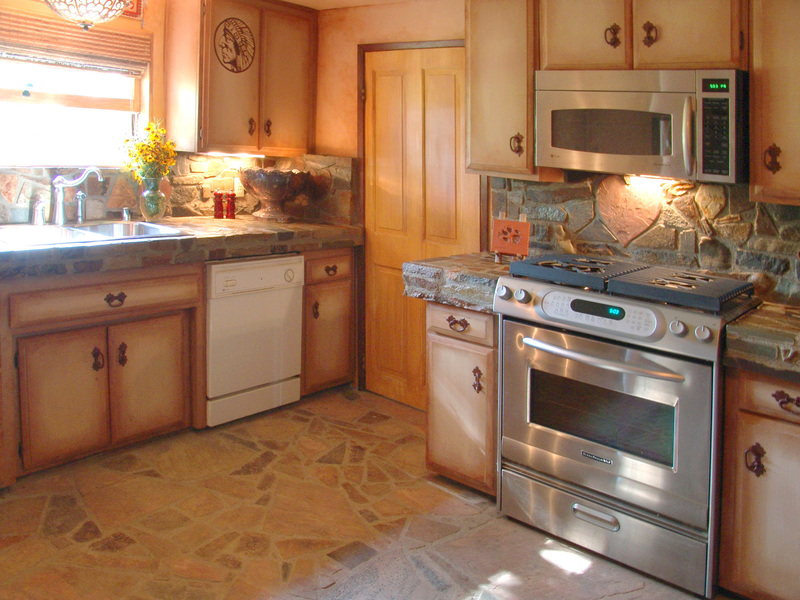 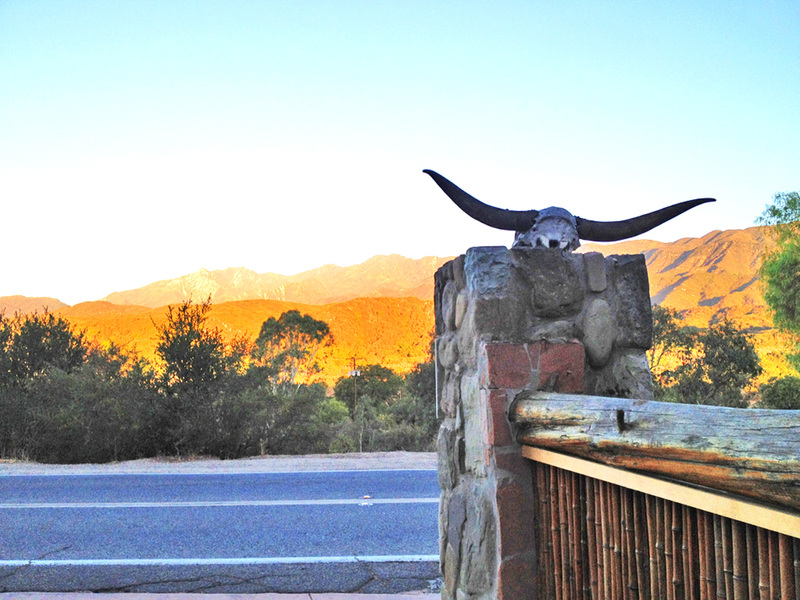 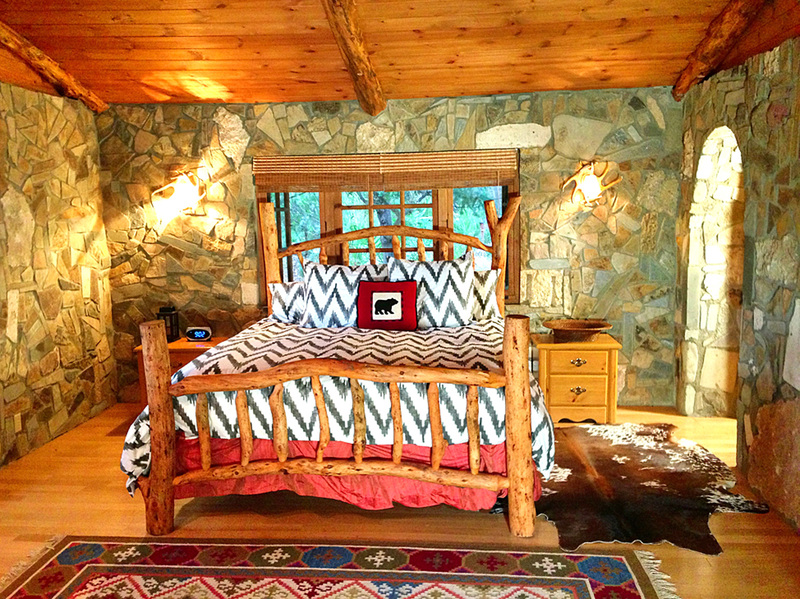 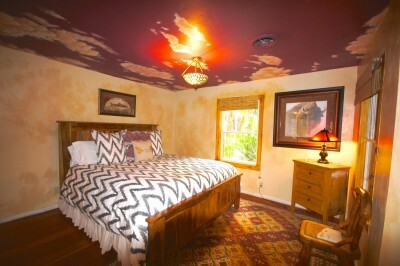 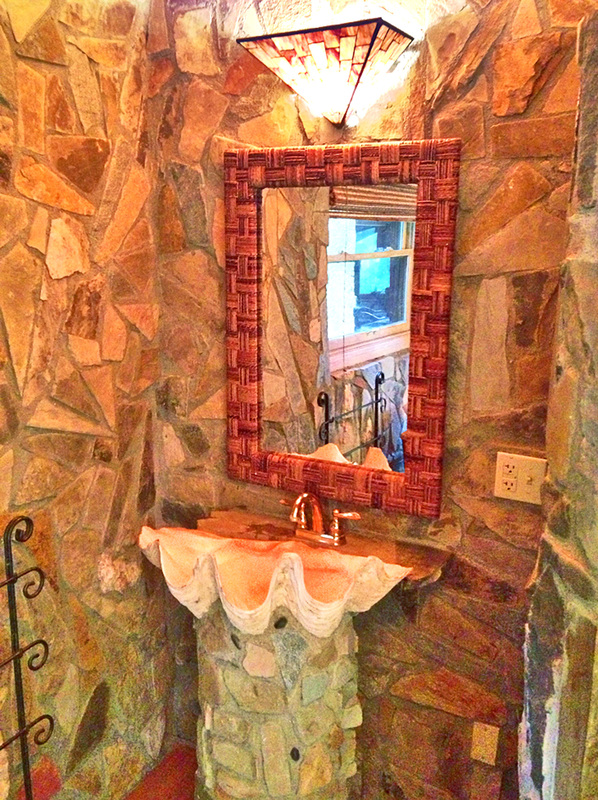 Welcome to Rolling Thunder Ranch – an unforgettable departure from the ordinary. 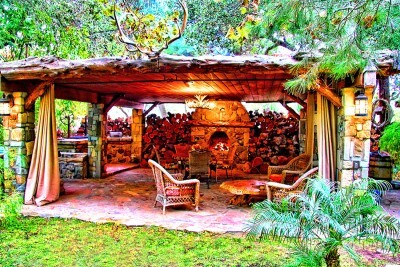 This unique house was built with all natural resources the result is a quite distinctive habitat that makes a strong visual impact. The Main House was constructed entirely of stone. 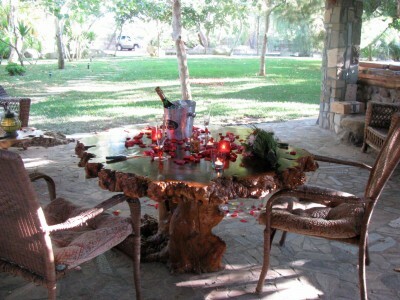 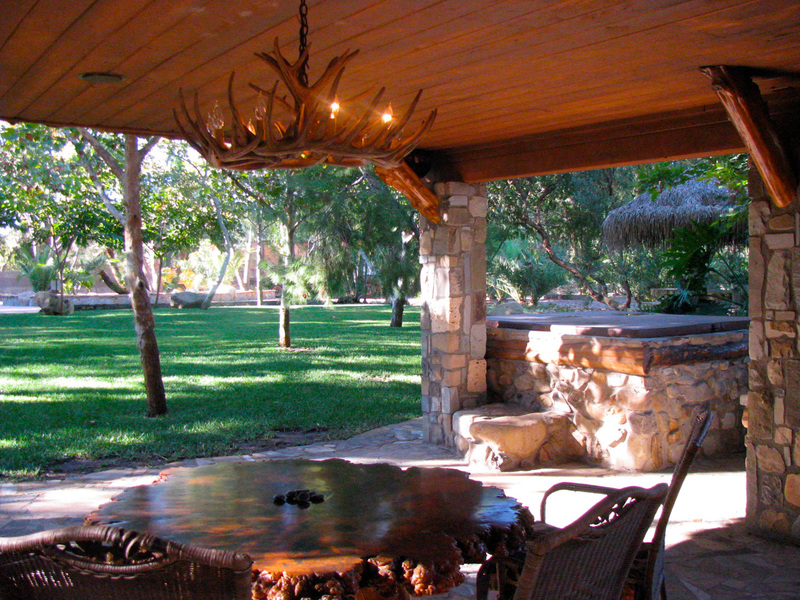 Trees have been creatively crafted as bars, benches, beams, art, mantels, and just decorative forms. The property has 3 separate structures that are all included. 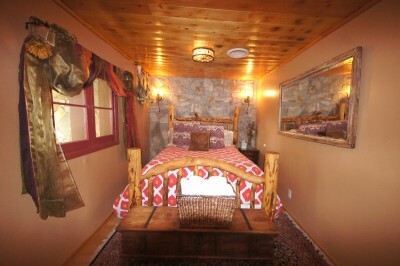 The Main Houses / Buffalo Cottage / Bunk House. It is enchanting to wander the many winding paths of lush palms that connect each one to each other. The heart center of the RTR Ranch boasts a lagoon inspired shimmering black bottom pool and extraordinary entertainment area. 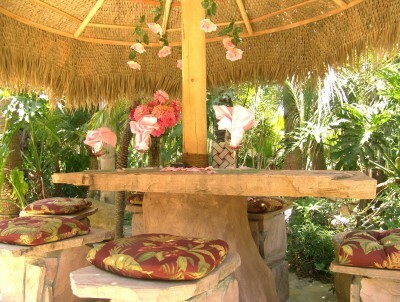 The dinning area for (10-15) makes a magical setting like no other for that special gathering. 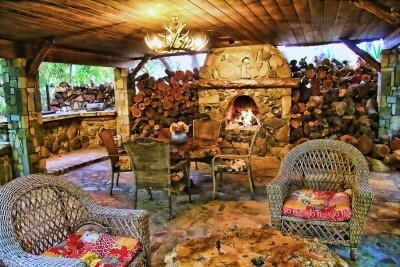 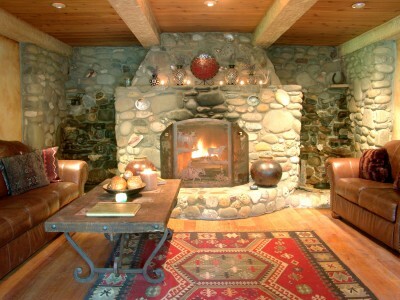 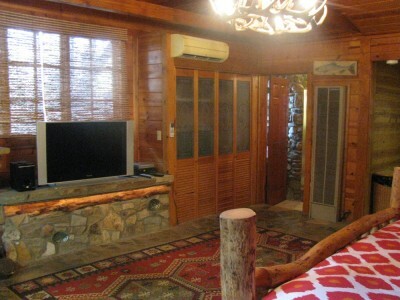 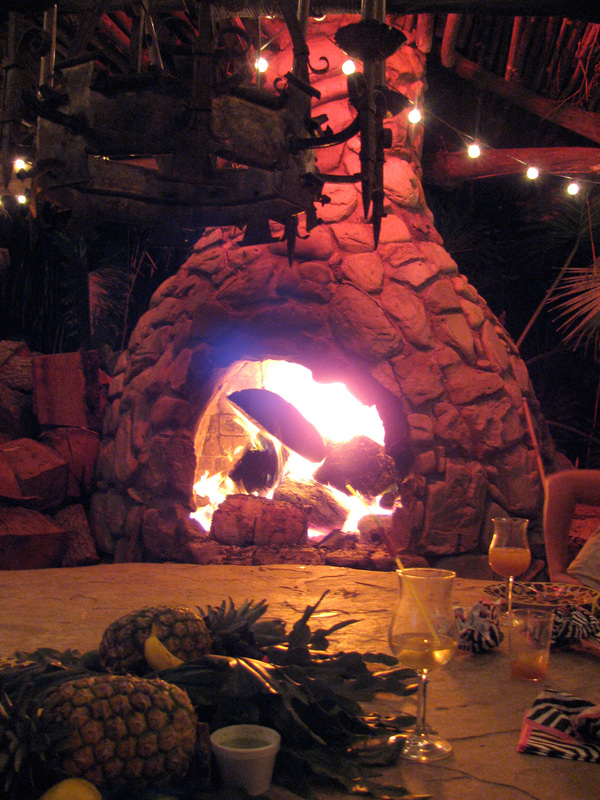 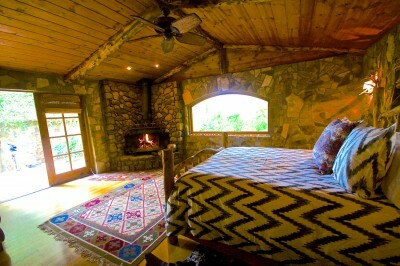 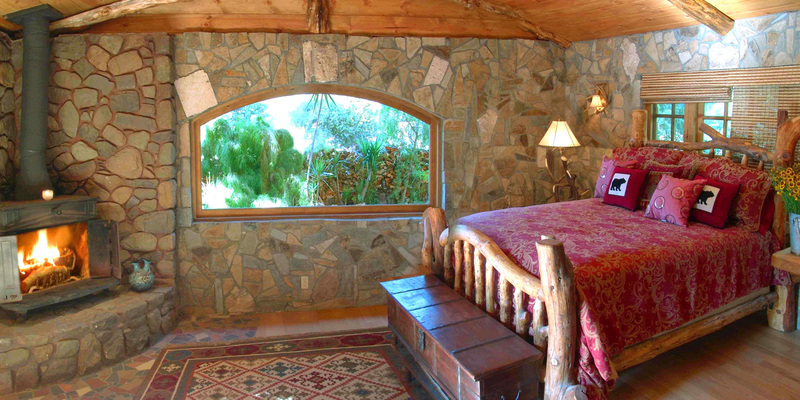 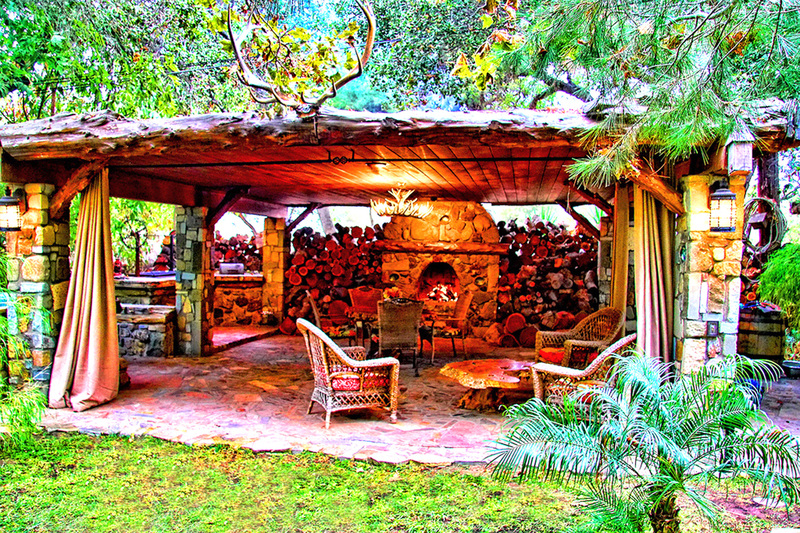 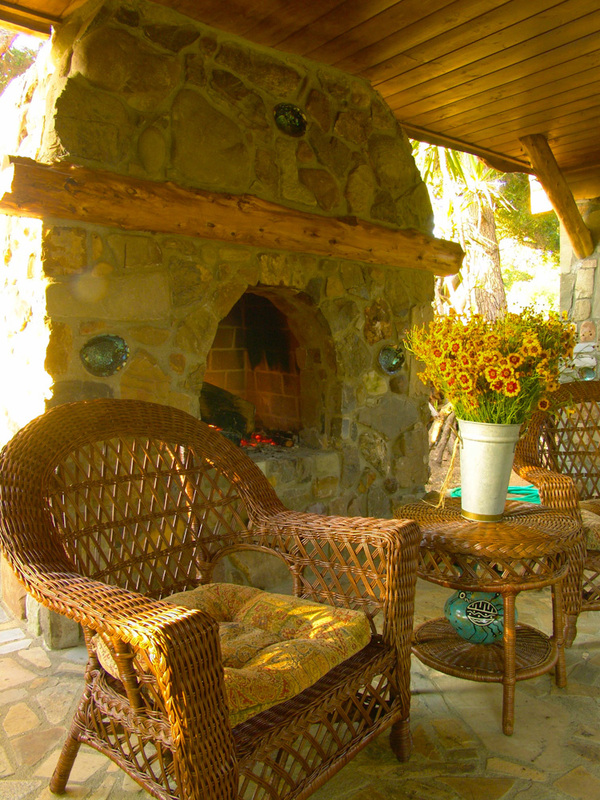 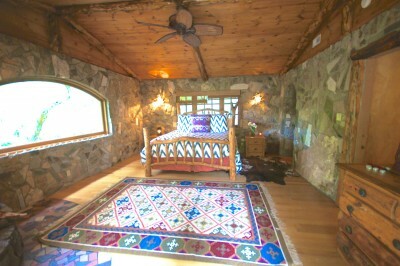 Delight in warming by the massive rock fireplace that keeps the natives cozy at night. 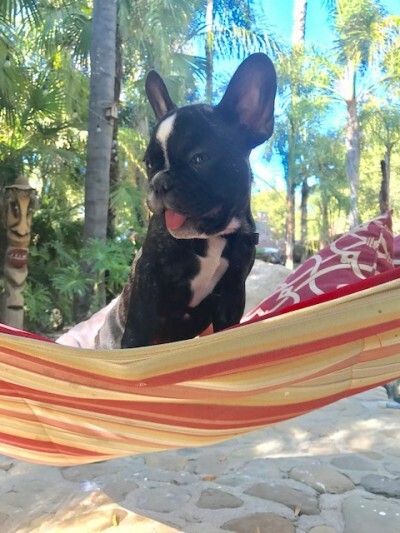 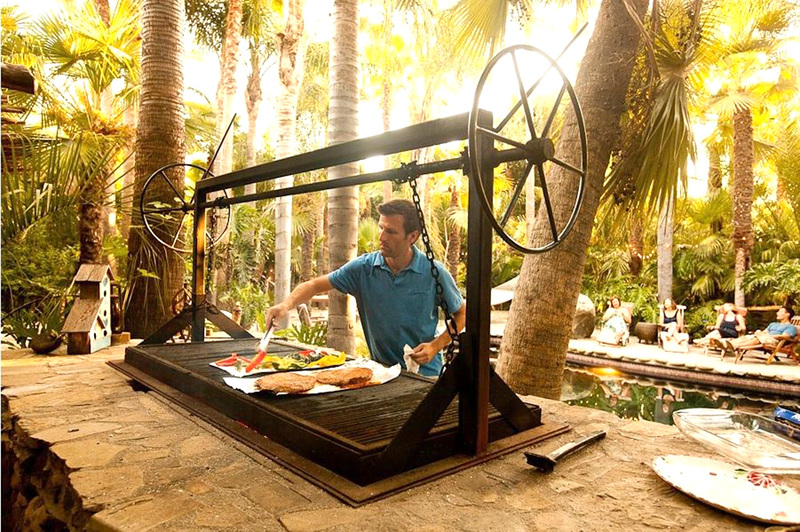 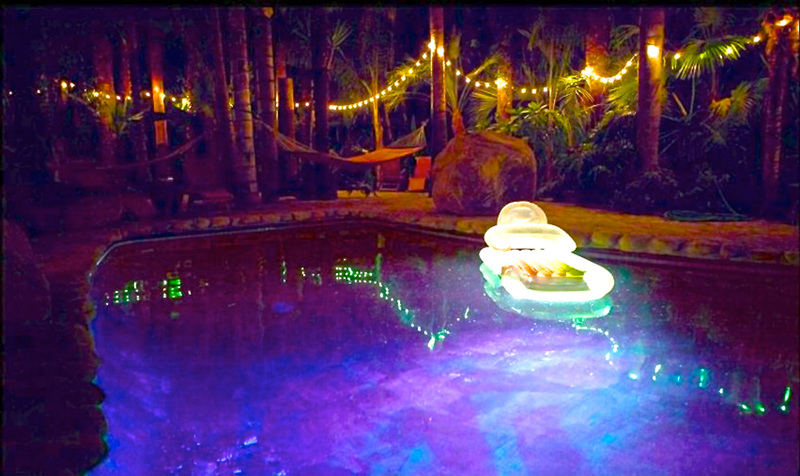 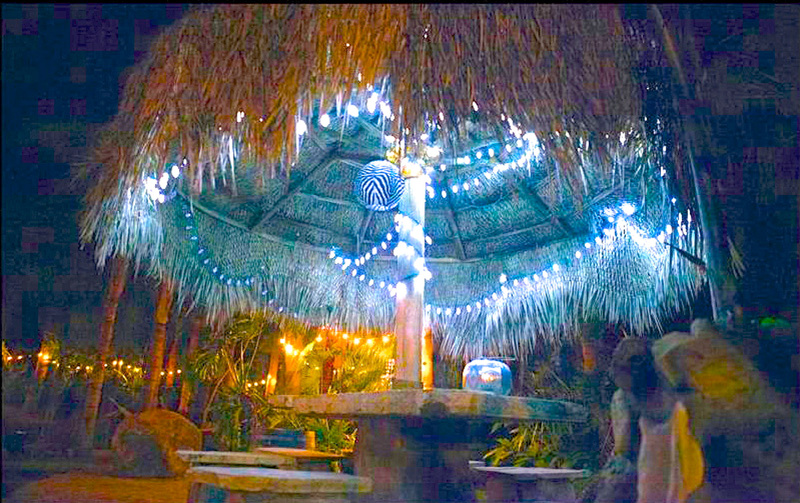 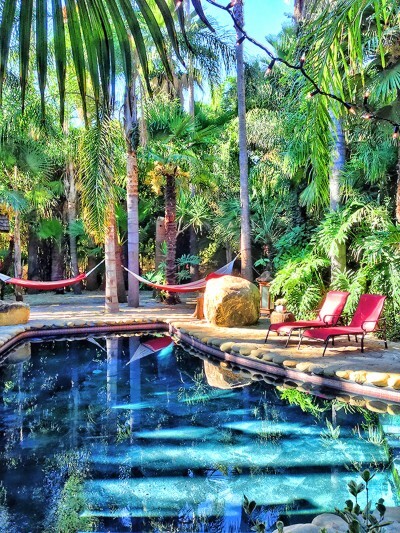 Additionally along side the pool is a magical rock & thatched Tiki Bar and a gigantic Santa Maria style wood fired BBQ that invite long afternoon barbecues to linger into evenings under the Ojai pink sky. 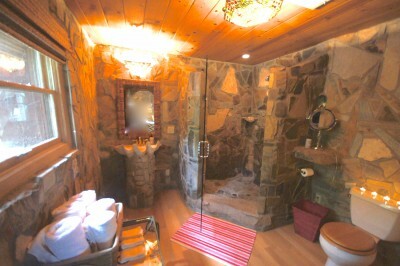 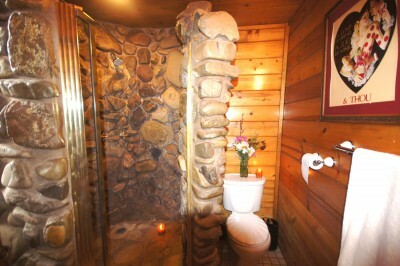 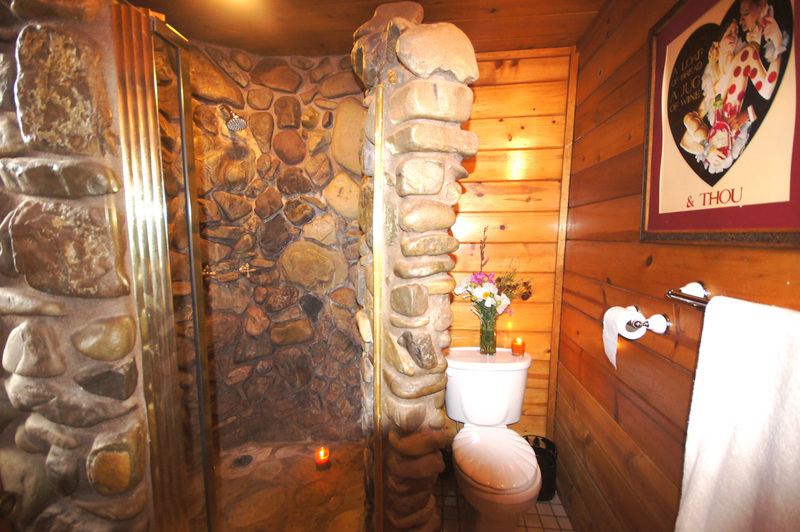 Unique to this property is 2 soaking tubs offered in opposing locations. Taking a long soak in the jungle spas nestled in the opulent gardens is one of the most memorable experiences to bring you back to center. 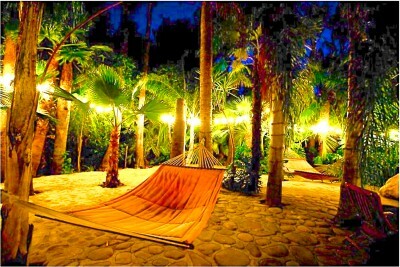 As though you were at a fine resort, a plentitude of outdoor seating, hammocks and chaise lounges connect you to poolside activities. 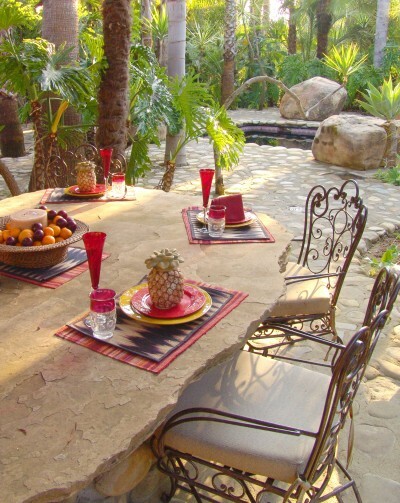 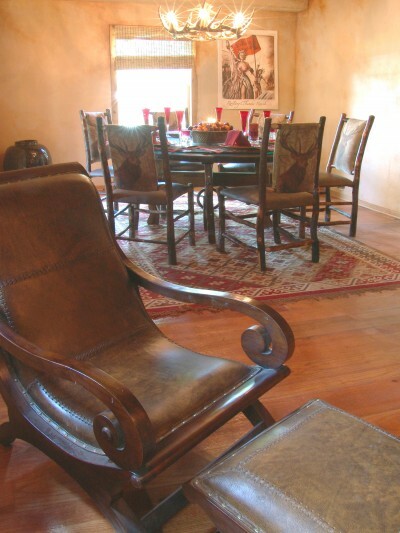 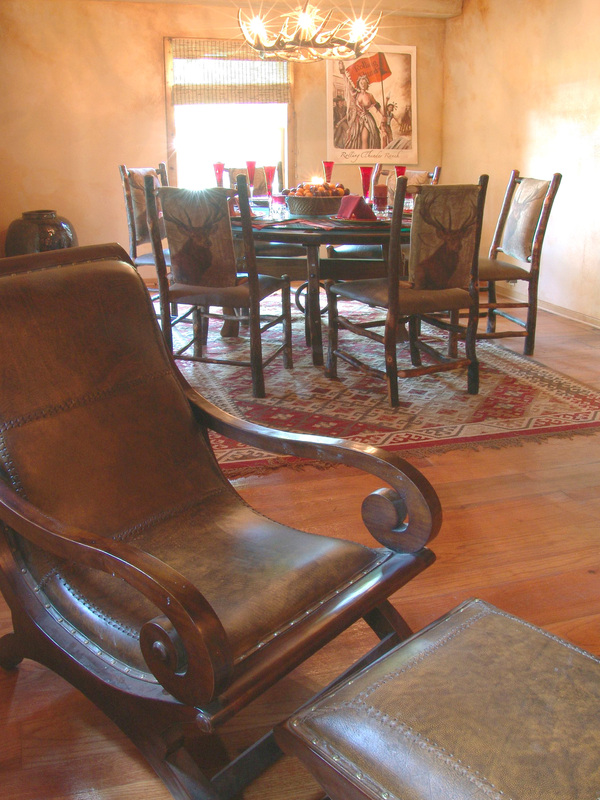 Various dining and seating areas dot the luscious landscape. 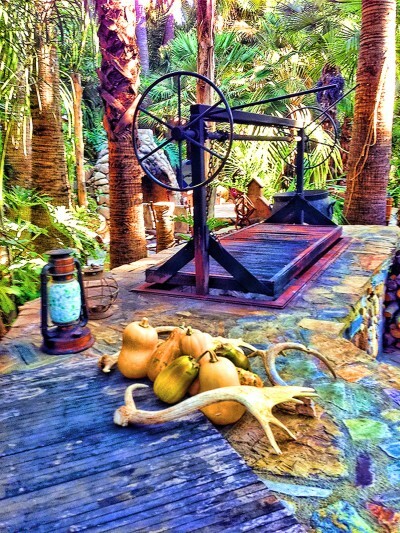 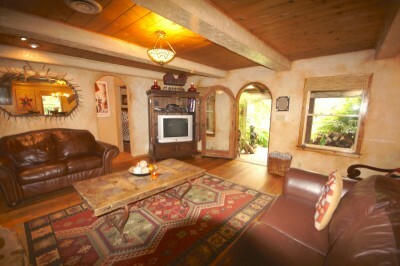 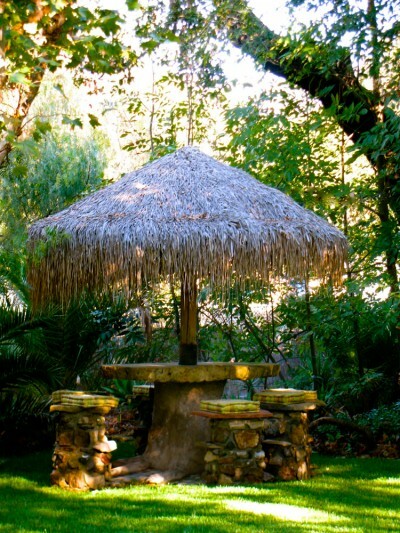 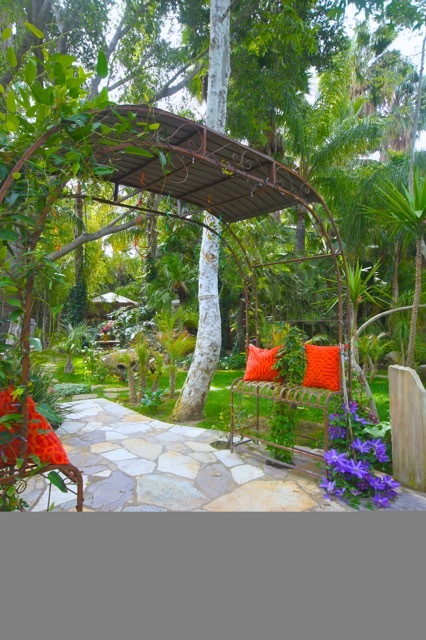 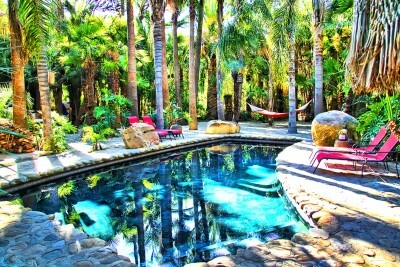 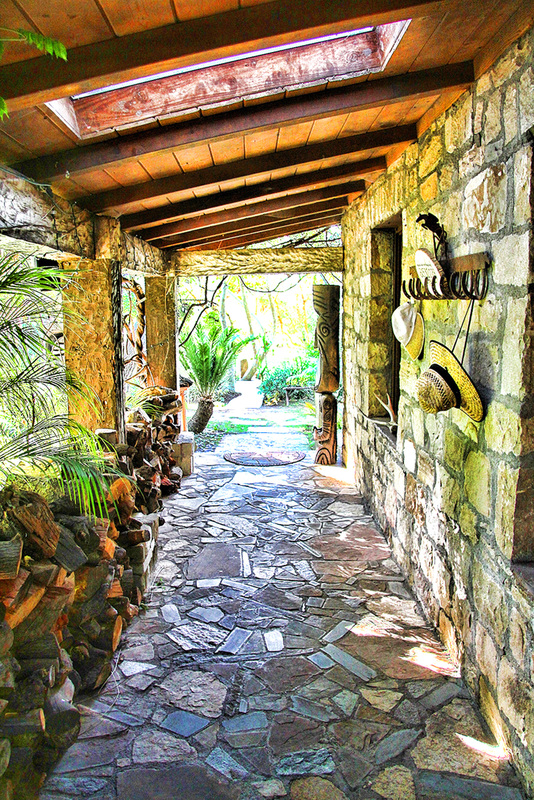 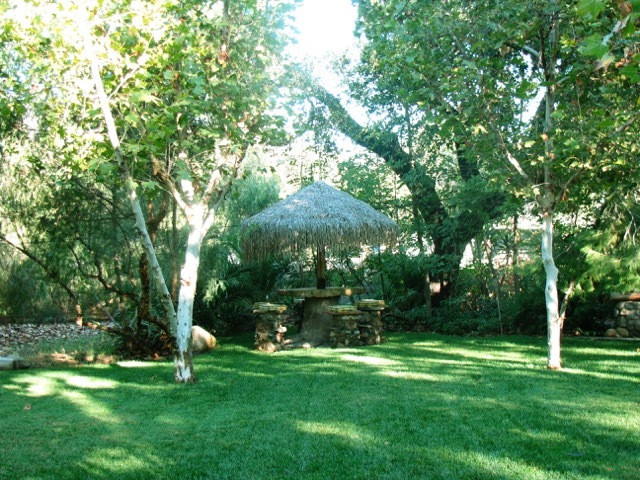 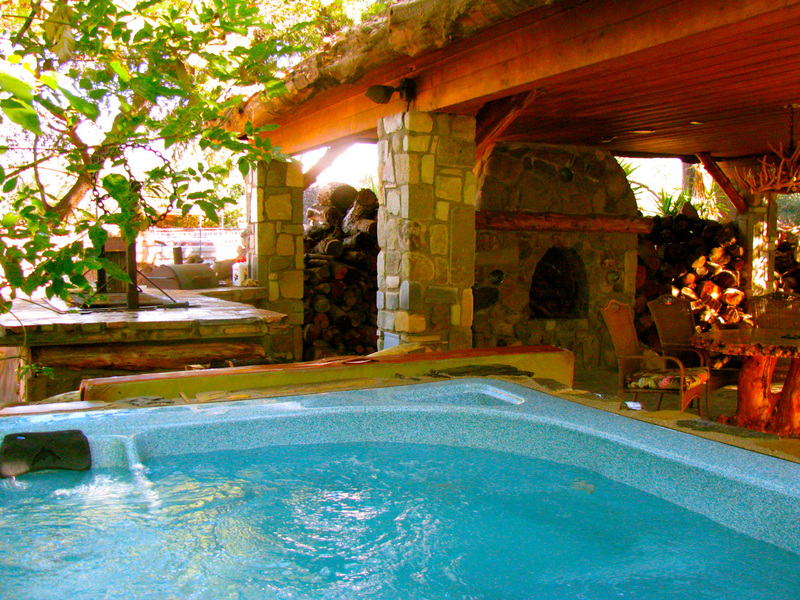 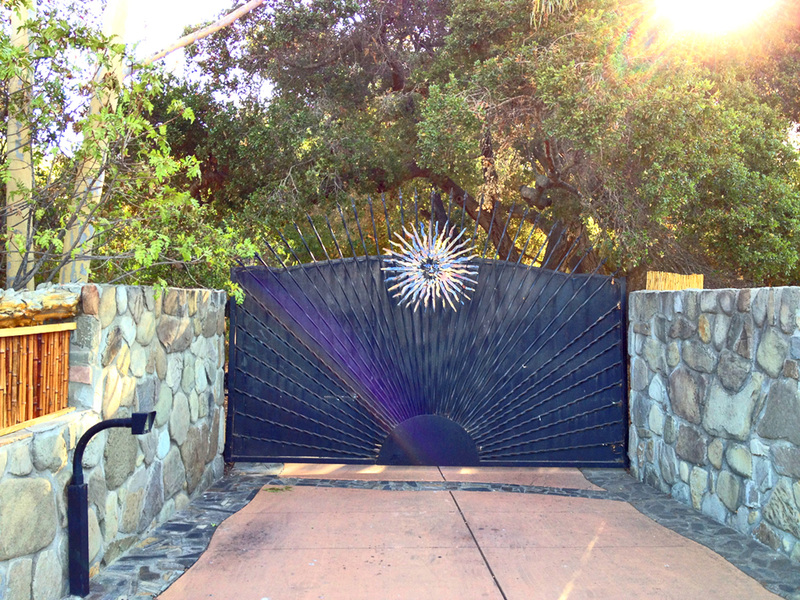 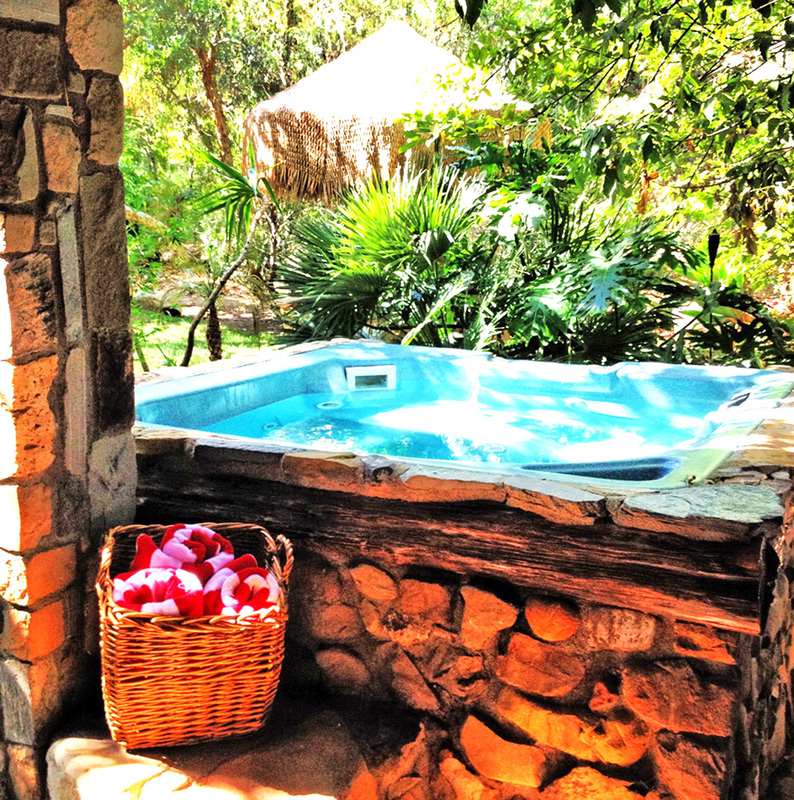 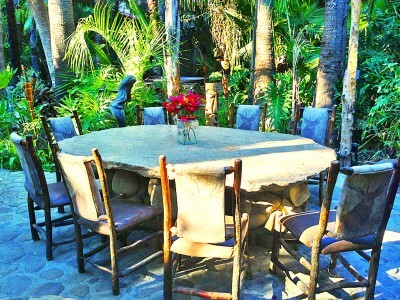 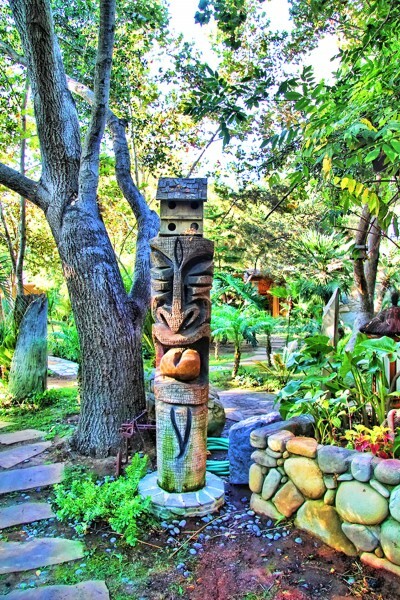 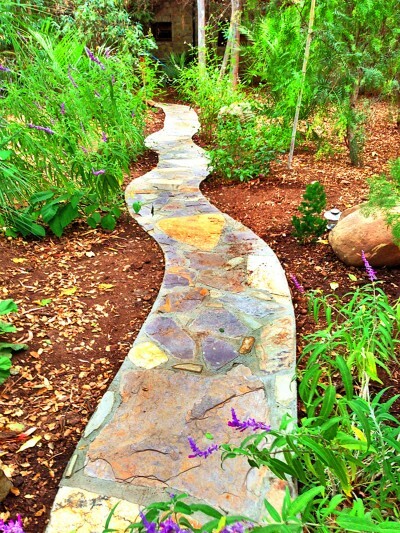 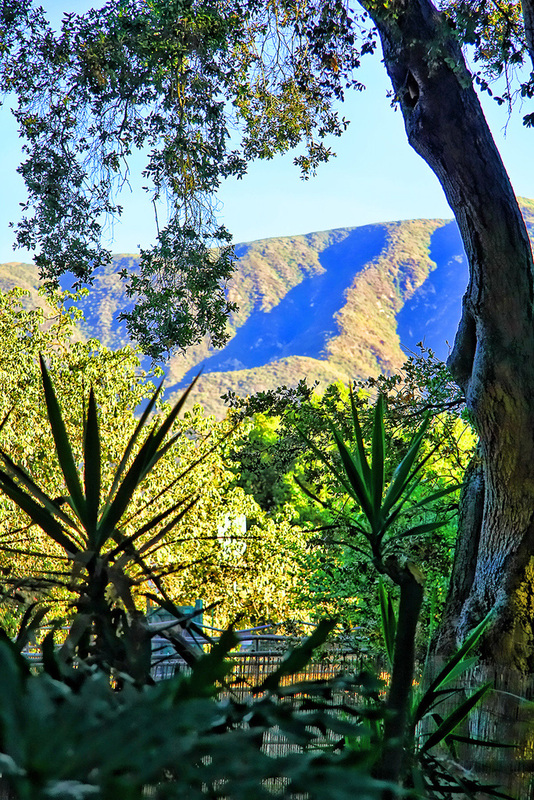 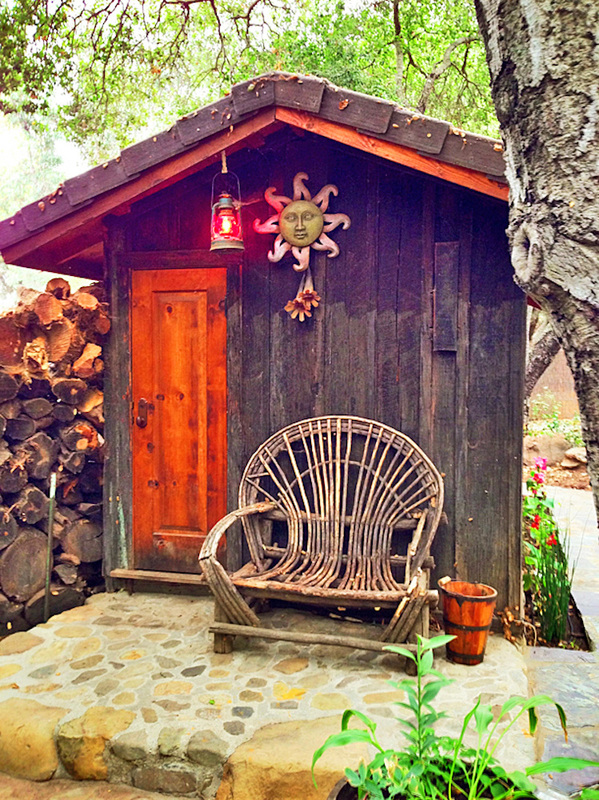 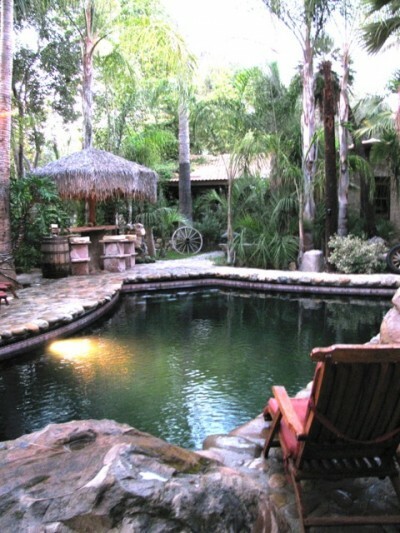 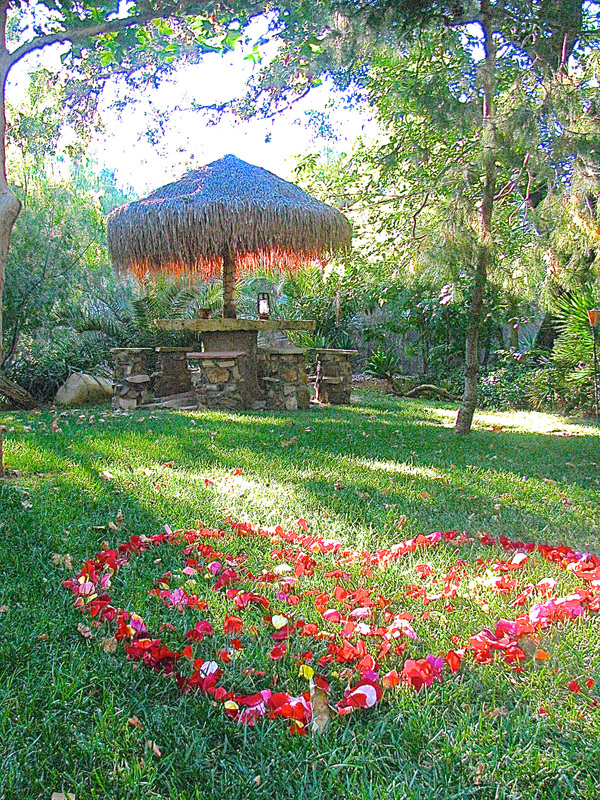 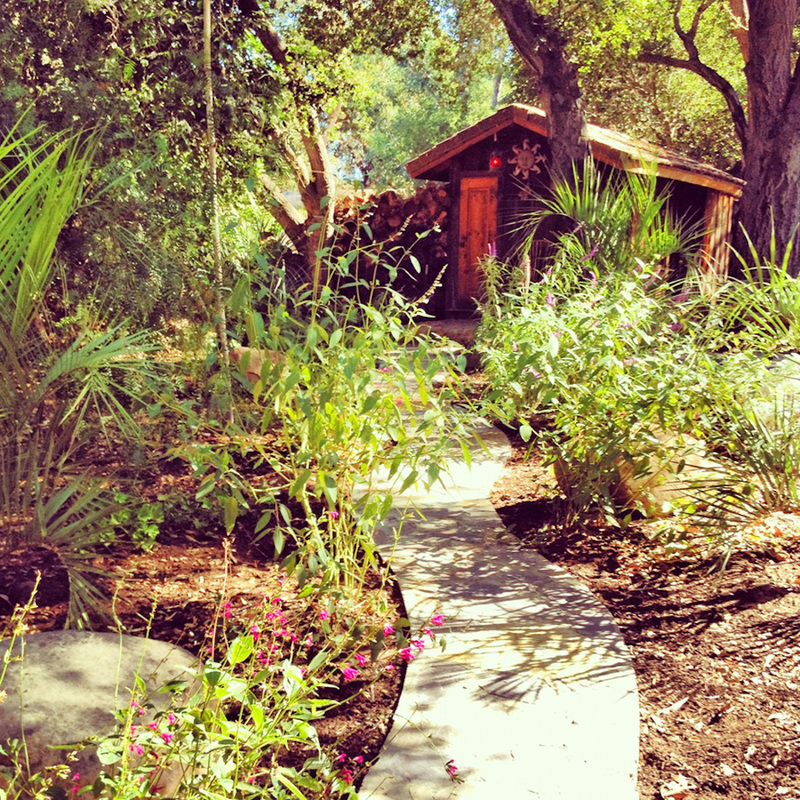 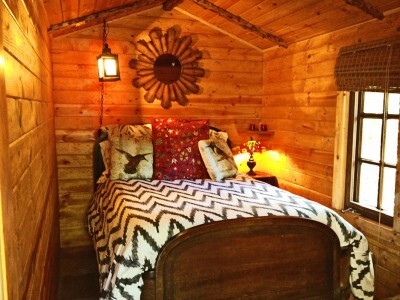 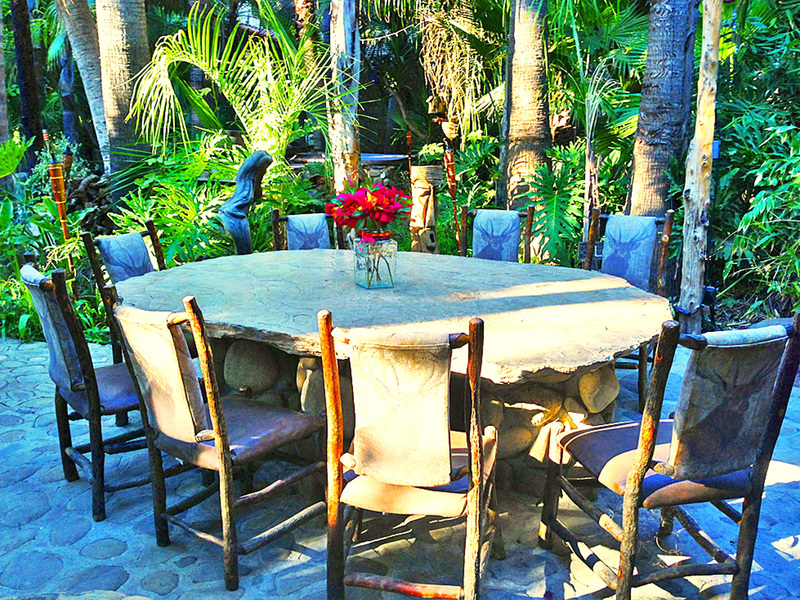 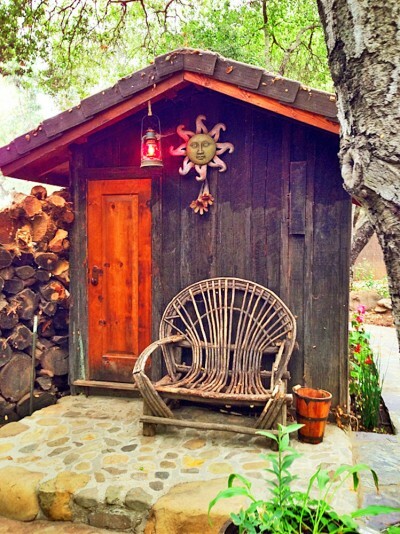 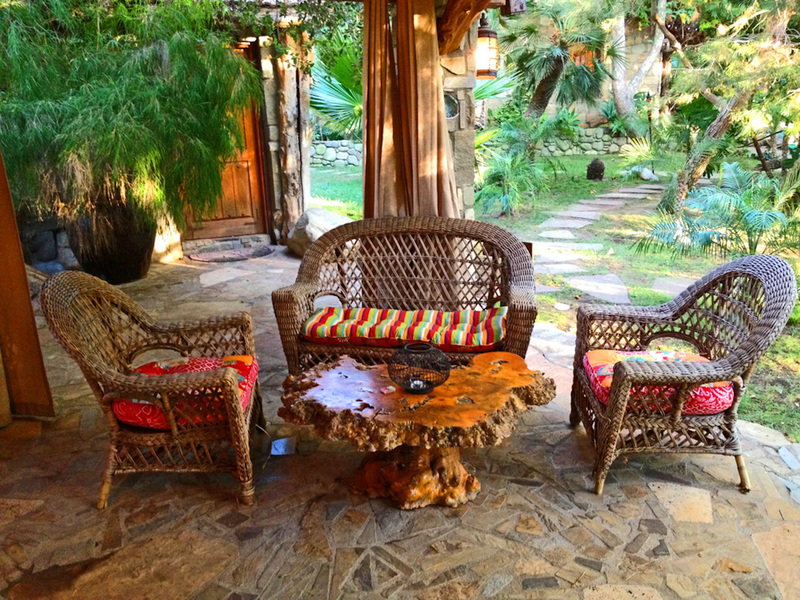 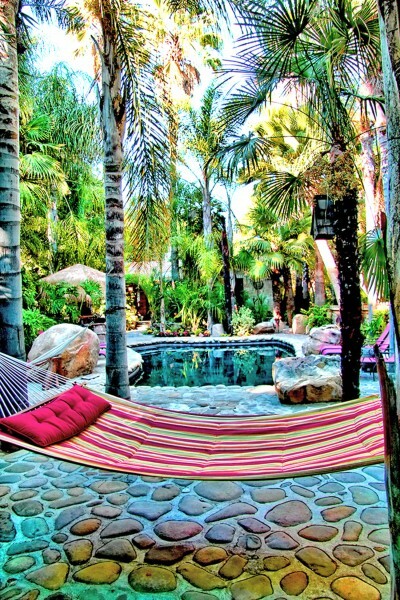 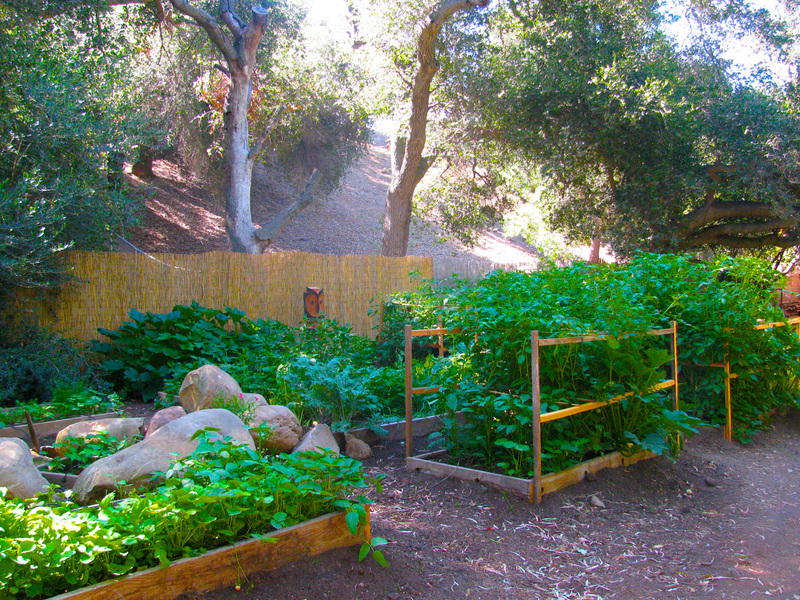 An intoxicating mix of rustic chic & tropical hideaway – one feels as if they have stumbled upon a jungle-swimming hole Rolling Thunder Ranch is considered an enchanting horticultural treasure of Ojai.